We are "von Günbil" - TEAM GÜNBIL and GÜNBIL ROCHELE an SV Registered PUREBRED working/showline German shepherd breeder in Germany offering truly the BEST working line German shepherds in the world! We offer you our world-class expertise, superior knowledge, TOP working class dogs in the world with absolutely Clear-In-The-Head character, stable nerves and safe nature dogs! With my German Partners we have over 48 YEARS EXPERIENCE in COMPETING, breeding, improving with perfection the working/showline German shepherd dog! We breed with the highest standard, TOP level breeding with TOP-WORLD-CHAMPION working LINE German shepherd dogs offered only in Germany. 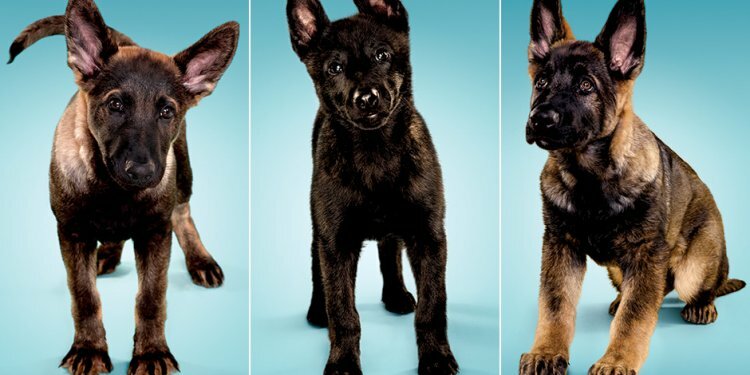 Our working German Shepherd puppies are recommended for all aspects of Police work, Narcotics Detection, Explosives Detection, Officer Protection, Military, Tracking, Cadaver Detection, Working Dog, Sport Dog, Guard Dog and naturally Family Protection Dogs! These dogs were bred for this purpose, absolutely clear in the head, have the natural desire to work a little harder than our show line dogs. Our "Günbil Imports" PUREBRED WORKING line puppies come with great dispositions, social behaviors, and have natural protection drives to compete in any arena world wide, GUARANTEED! We're so confident and assured in our World Class "PUREBRED Working Line German Shepherd" breeding program that we can offer you a FIVE (5) year genetic HEALTH and TEMPERAMENT Guarantee! Our five year guarantee is for your peace of mind, our commitment to you and your new puppy/dog - We believe in our "Günbil German Shepherds" breeding program, you should too! Excellent for protection, sport and breeding dog - Gunbil Imports! 7, 888.00 Hapee (Gunbil Imports) - Shipping INCLUDED in Purchase price Hapee, will make a wonderful "family protection dog". She has an outgoing personlity with fun and happy attitude. Housed trained, crate trained and does very well with basic obedience. Very confident, self-assured, with excellent prey/play drive, with superior alertness, excellent protection abilty if needed! Will thrive in a family home environemnt. Hapee, loves children and plays well with other puppies. Very healthy pedigree with excellent health value! She is intelligent, loves to please, should do well in any endeavor. Your new puppy comes with a FIVE year guarantee. EXCELLENT PUPPY FOR FAMILY PROTECTION, SPORT AND BREEDING. FULLY OBEDIENCE TRAINED, CRATE & POTTY TRAINED - EXCELLENT SOCIAL SKILLS!